Bonnie Campbell is a Principal at Two Trees Management Company, a development firm in Brooklyn, NY. Two Trees is known for its role in transforming the Brooklyn neighborhood of DUMBO where the company’s holdings include 3 million square feet of commercial, industrial and residential space. As a result of Two Trees’ efforts, DUMBO has grown from a neglected waterfront into a vibrant mixed-use community. 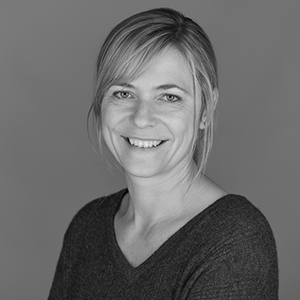 Bonnie leads a team of planners, architects and development professionals on behalf of Two Trees and is involved in site acquisition, financing, construction, design, and leasing of Two Trees’ portfolio. Most recently, she and her team successfully rezoned the 11-acre Domino Sugar Refinery site acquired by Two Trees in 2012. The site is currently being redeveloped by Two Trees to include a 6-acre public park and 3 million sq. ft. of new development including residential, office, retail and community facility uses. Bonnie joined Two Trees over 15 years ago, after receiving masters degrees in Real Estate Development and City Planning from the Massachusetts Institute of Technology. Bonnie received a Bachelor of Arts degree in Economics and Urban Planning from Stanford University.